cholesterol, is high in fiber and vitamins A & C and is a good source of potassium. 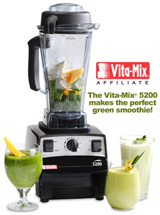 *Watermelon contains higher levels of lycopene than any other fresh fruit or vegetable. * Watermelon’s official name is Citrullus lanatus of the botanical family Curcurbitacae and it is a vegetable. It is related to cucumbers, pumpkins and squash. * The first recorded watermelon harvest occurred nearly 5,000 years ago in Egypt. * A watermelon was once thrown at Roman Governor Demosthenes during a political debate. Placing the watermelon upon his head, he thanked the thrower for providing him with a helmet to wear as he fought Philip of Macedonia. * Early explorers used watermelons as canteens. * The word “watermelon” first appeared in the English dictionary in 1615. * Watermelon is grown in over 96 countries worldwide. 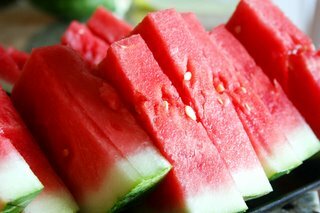 * In China and Japan watermelon is a popular gift to bring a host. * In Israel and Egypt, the sweet taste of watermelon is often paired with the salty taste of feta cheese. * In 1990, Bill Carson, of Arrington, Tennessee, grew the largest watermelon at 262 pounds that is still on the record books according to the 1998 edition of the Guinness Book of World Records. * In 1999 over 4 billion pounds of watermelon were produced in the United States. * Over 1,200 varieties of watermelon are grown worldwide. * Every part of a watermelon is edible, even the seeds and rinds. And believe it or not, there is actually a National Watermelon Promotion Board. so let’s pretend we live in China or Japan and next time you come visit you can bring a watermelon or a Citrullus Lanatus…which ever you prefer. heehee! How would you prepare the rind if you were going to eat it? Do you eat the rind?